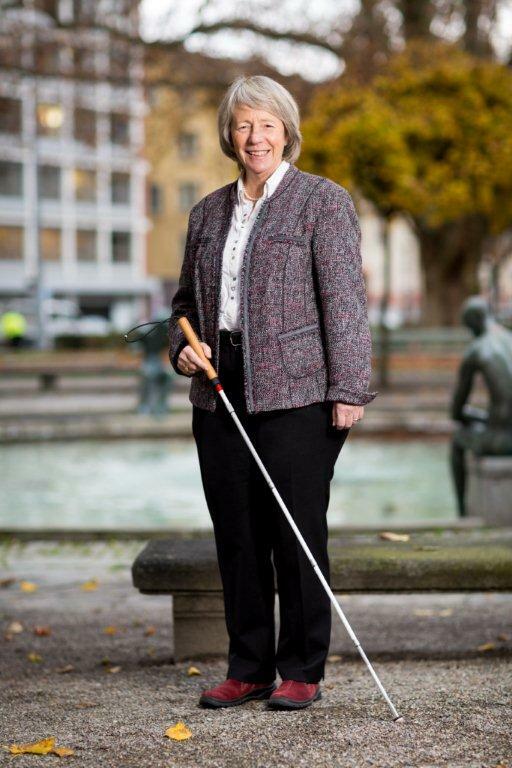 Christina Fasser has been a leading voice in the effort to focus attention on the need for scientific research to find a cure or treatment for retinal blindness for the past 25 years. Diagnosed with RP when she was thirteen, Christina discovered early in life the reasons for her clumsiness in the dark and her inability to compete in sport. Contrary to the expectations of her parents, Christina was not bothered at the time by this tragic news as it gave an explanation for what she was experiencing. It was later in life, when choosing a profession, that the greater effect of the condition was felt as she was unable to follow her dream career path. Through determination she has been successful in her career and has risen to a highly respected position in the retinal research community. Speaking of her vision loss, she says, “The two things I miss most of all are not being able to see the expression on people’s faces when I speak to them and the ability to read print… Still, I believe that there has never been as good a time as today to be blind; technology is making immense progress. Computer technology, for example, has opened up totally new possibilities to acquire information independently. With the aids available 25 years ago, I would never have been able to work in such an interesting and rewarding profession as the one I am in today”. As President of Retina International, Christina works with the CEO and the Management Committee to facilitate communication between members, researchers, industry and government, and to represent the member organisations at meetings world-wide. Looking to the future, Christina adds, “Despite the fact that there is still no treatment available, I can see the difference between now and then: Today there is well-founded hope that this situation will change sooner or later. Through my work in the organization I have had the opportunity of getting to know many wonderful people – patients and researchers – who I would never have met otherwise”.